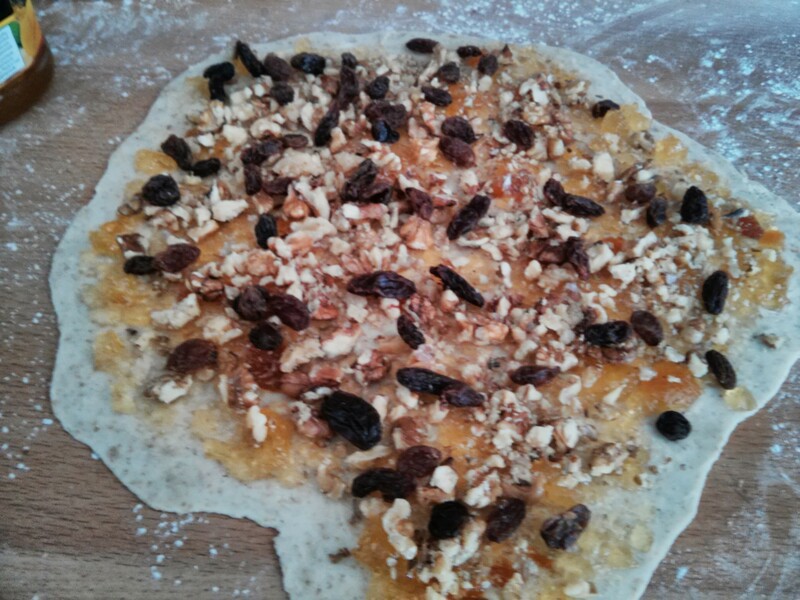 One of the recipes I’ve wanted to try from the Cookies for Kids’ Cancer book was Grandma Jennie’s Ruggalah. But it looked a bit complicated, so I hadn’t tried it. 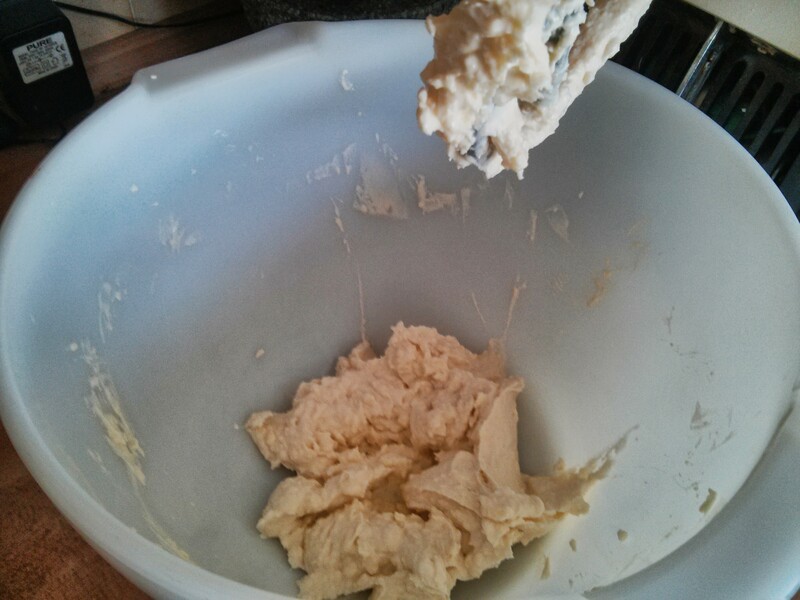 Everything but the flour goes into the mixer. This gets whisked for a few minutes until fluffy. 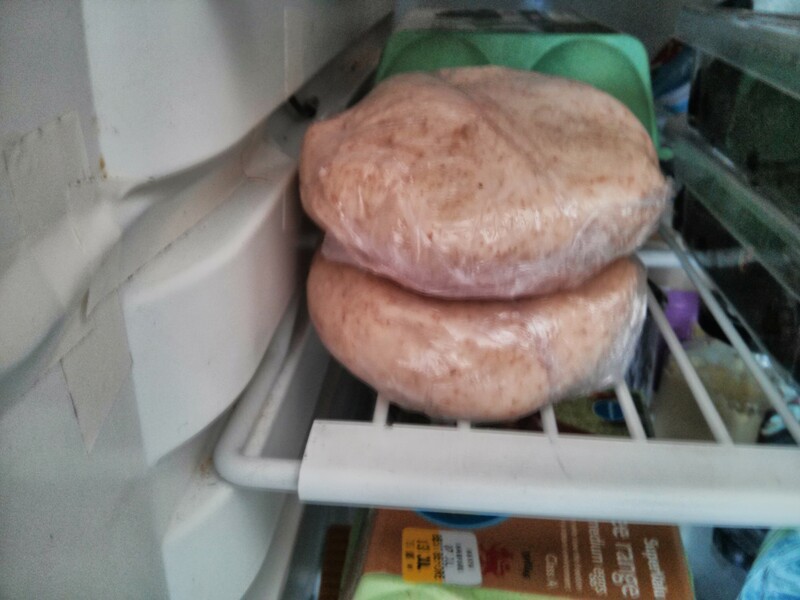 Then flour is added. 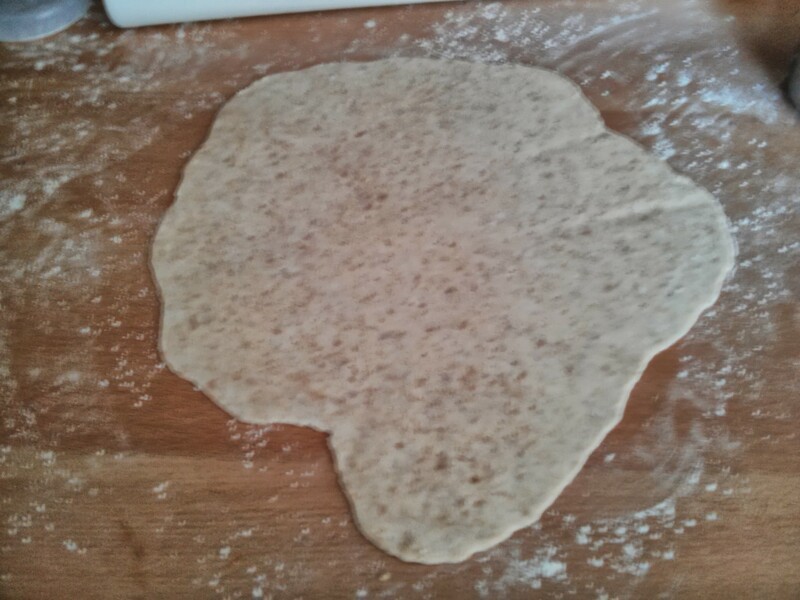 I ended up using a mix of wholemeal and regular plain flour, and you bring together in a dough, split into two and pop in the fridge for an hour. 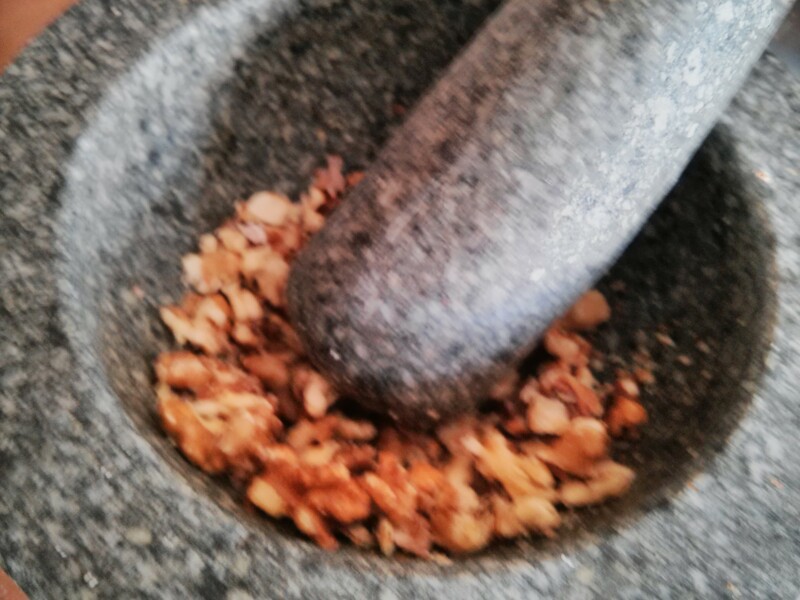 You need 4ox chopped walnuts, and as I only had walnut halves I had to crush them a bit. 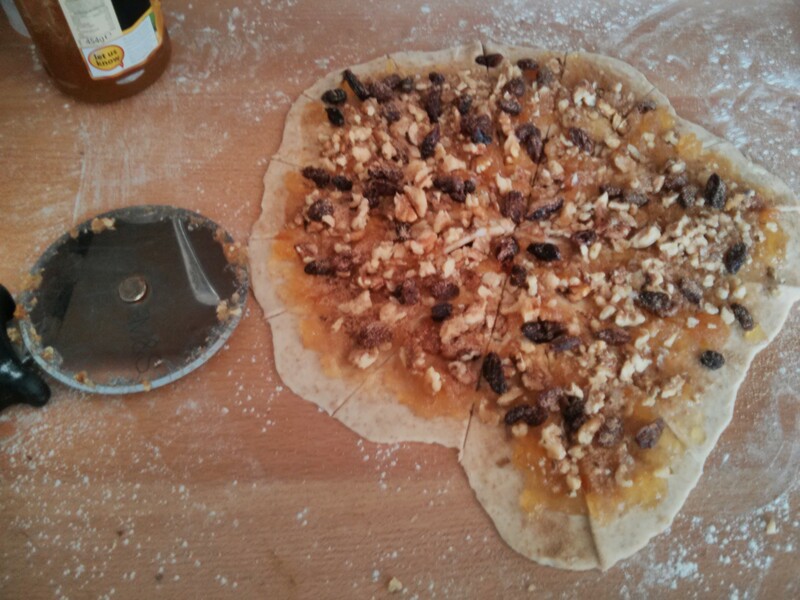 Onto this you spread apricot jam, then sprinkle half the walnuts, then 1 1/4 ounces of ‘golden raisins’ (sultanas…) then top with 1tbsp of the cinnamon sugar mix. Then using a pizza cutter make 16 slices. 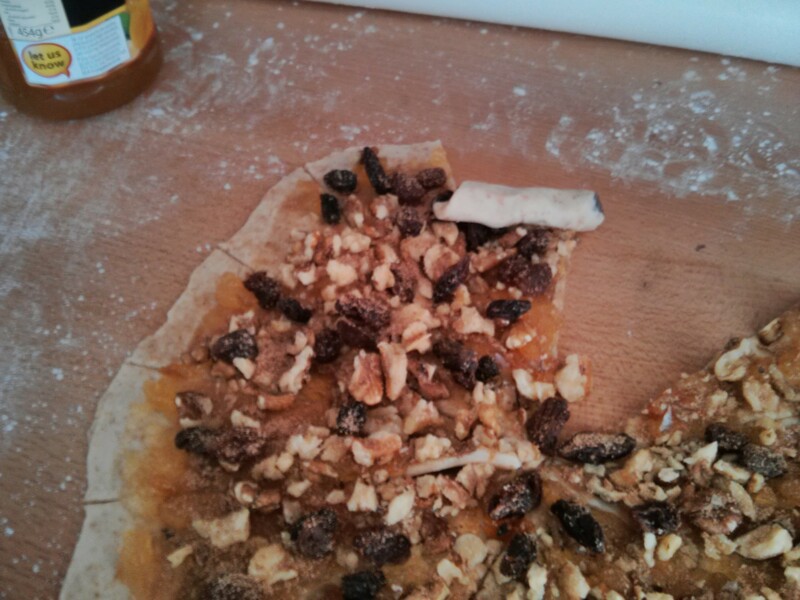 Then roll up each slice from the edge to form a sort of croissant shaped thing. These go on a lines baking tray. 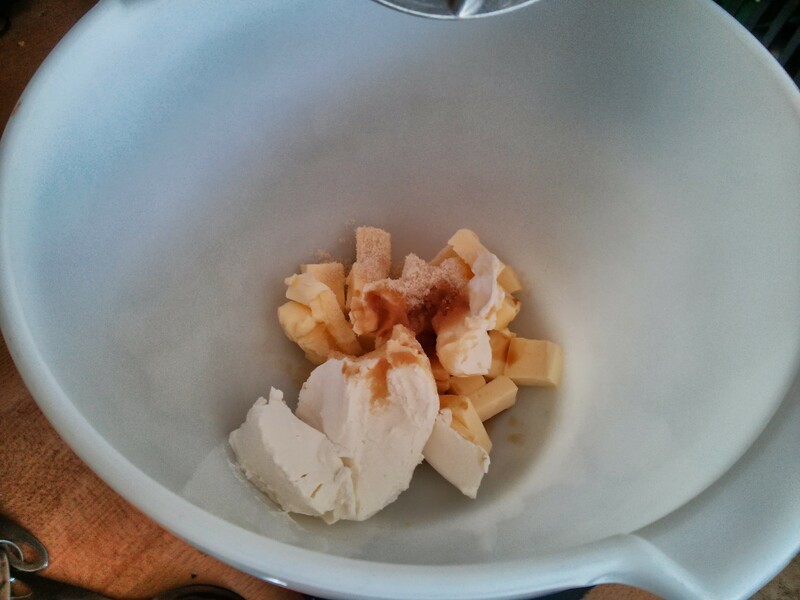 Then brush with melted butter and sprinkle some more of the cinnamon sugar on. 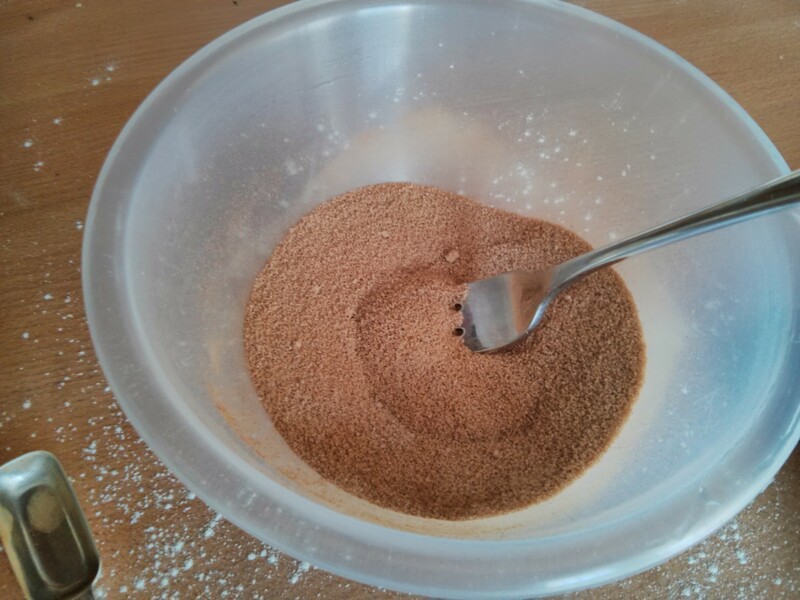 Oh and you end up with loads of extra cinnamon sugar… halving the amounts if probably a good idea! 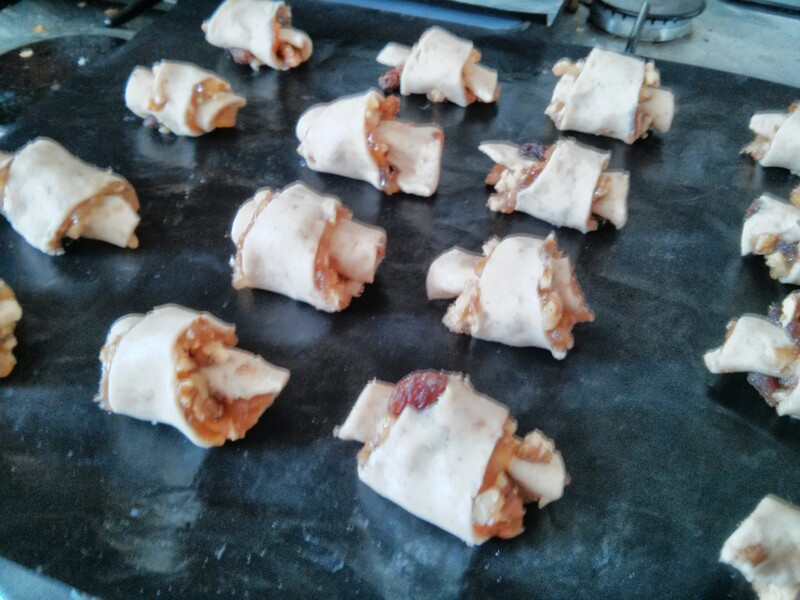 These get cooked in a 170c fan oven for 20mins, swapping positions half way through. After cooking they’re a bit messy with jam having oozed out. 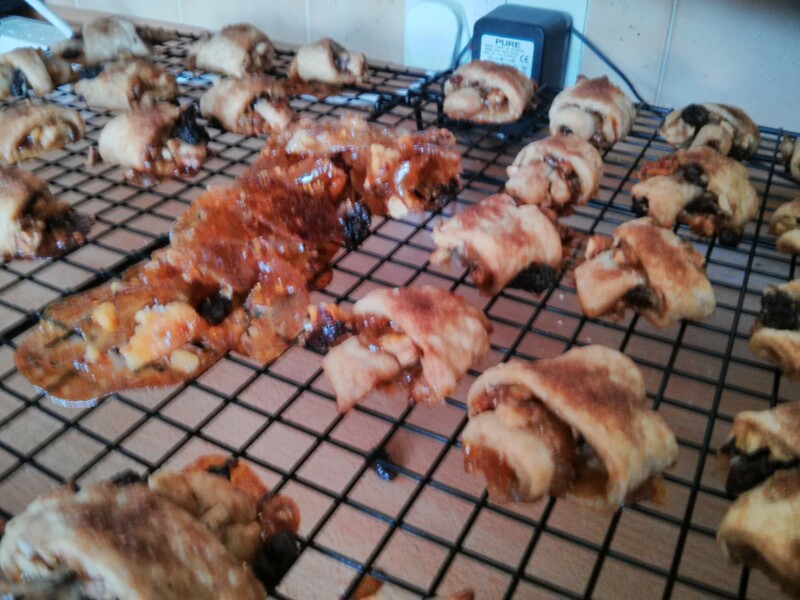 Then straight onto a cooling rack (note the amount of cook’s treats!). 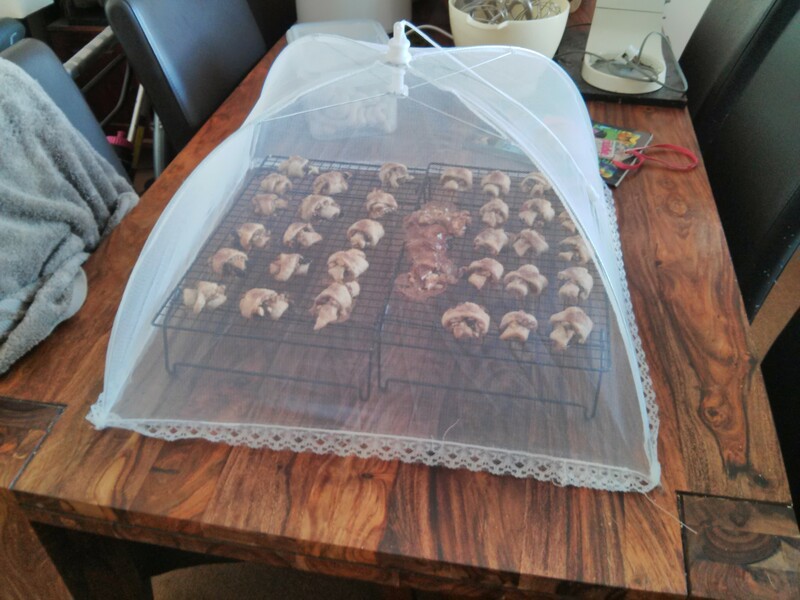 And under a cloche to prevents ginger cats from having a taste. And they taste amazing! They are waaaay to morish. Very dangerous. 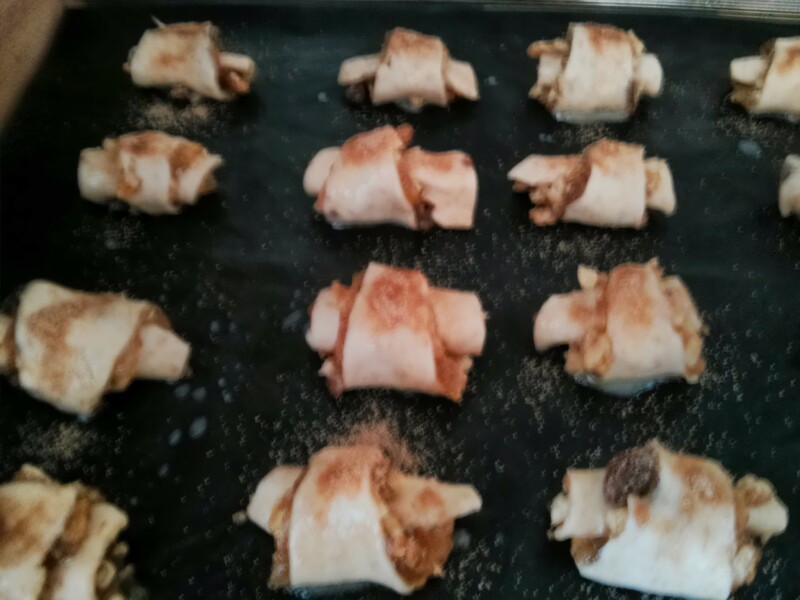 There’s a resemblance to baklava… so I might try doing them with added pistachios and honey next time! Don’t think I’ll try making those. 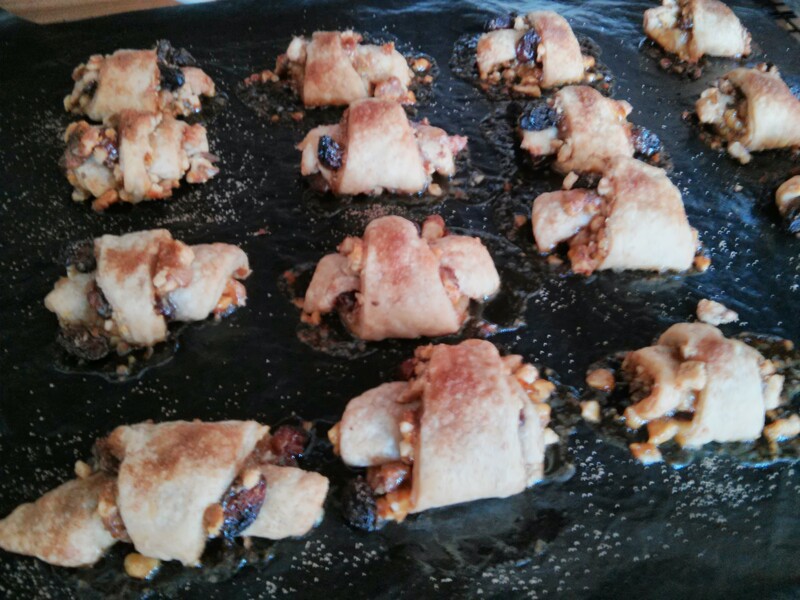 They look far too “moorish” and I have no will power for resisting such treats.